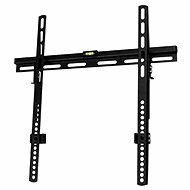 The CONNECT IT CI-128 fixed wall bracket is designed for all 42-75" flat screens. 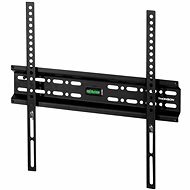 It comes with a magmetic spirit level and a set of screws and wall plugs, making assembly quick and easy. 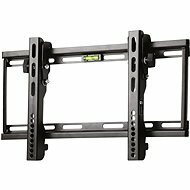 It has a maximum load of 50kg and the maximum distance of its mounting holes is 800 x 600mm. For shipping to other EU countries visit this page CONNECT IT L3 black. Für Versand nach Deutschland, besuchen Sie bitte CONNECT IT L3 schwarz. Chcete doručit zboží do Česka? Prohlédněte si CONNECT IT L3 černý. Chcete doručiť tovar na Slovensko? Prezrite si CONNECT IT CI-128 čierny. Für Versand nach Österreich, besuchen Sie bitte CONNECT IT L3 schwarz. Magyarországra történő kiszállításért tekintse meg ezt a termékoldalt: Fali konzol L3 fekete.